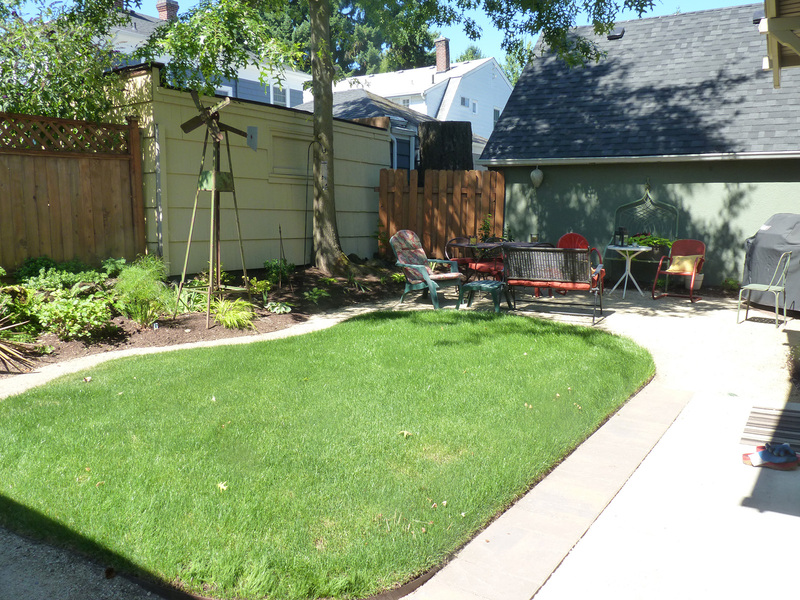 The clients for this design wanted a multi-year plan for renovating garden spaces surrounding their bungalow/cottage home. 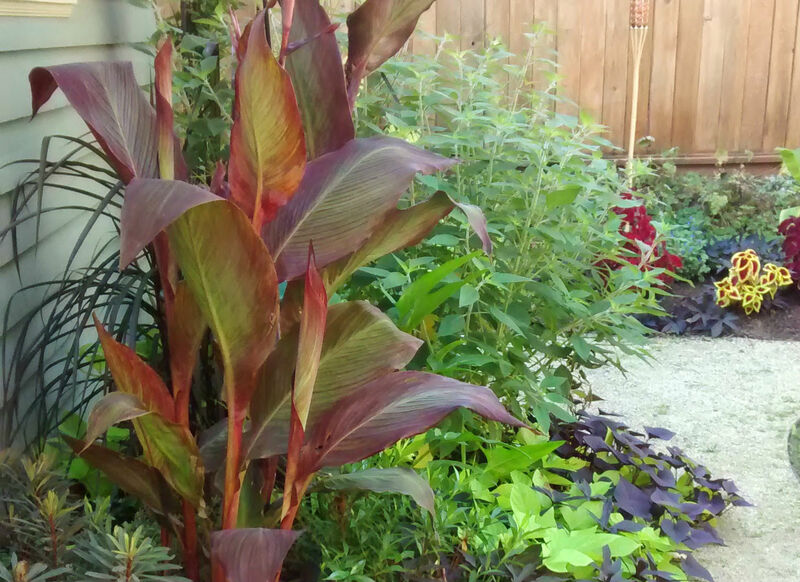 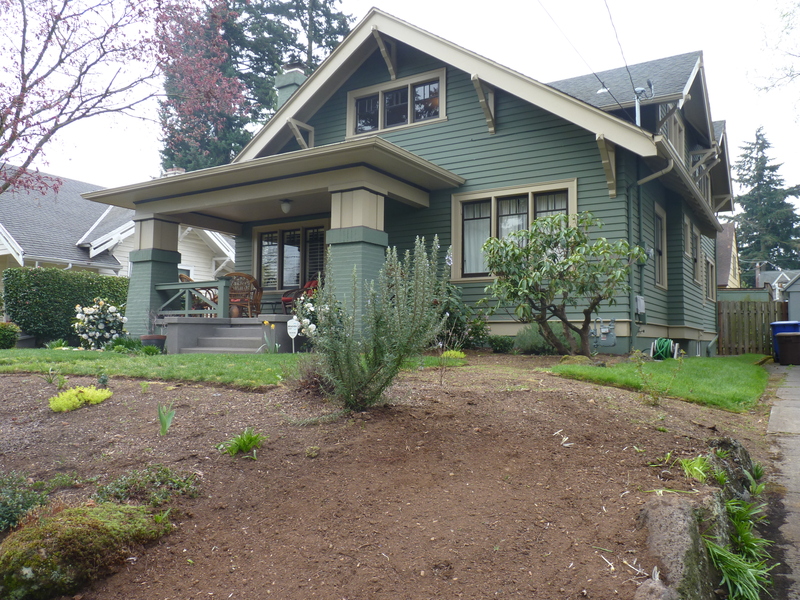 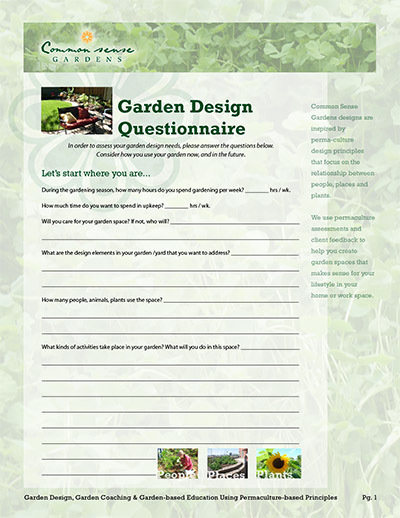 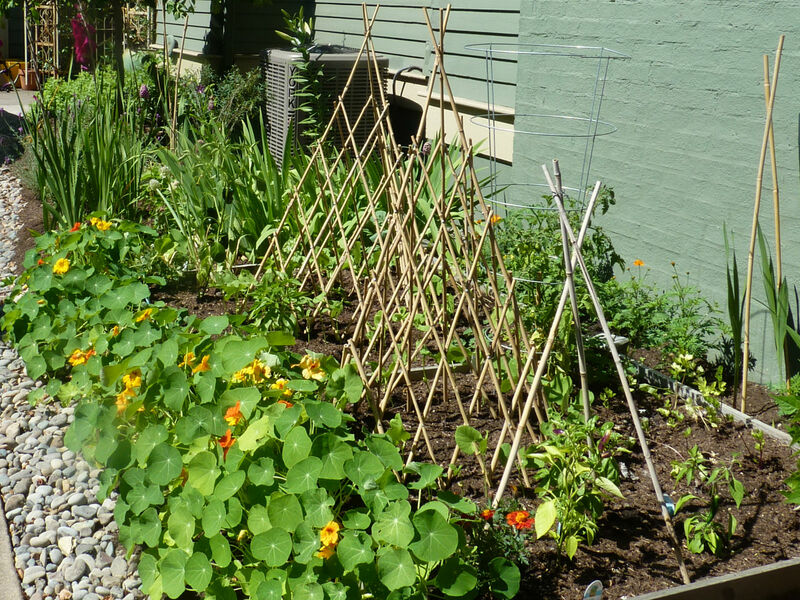 The garden design initially started with the east side edible garden and the backyard. 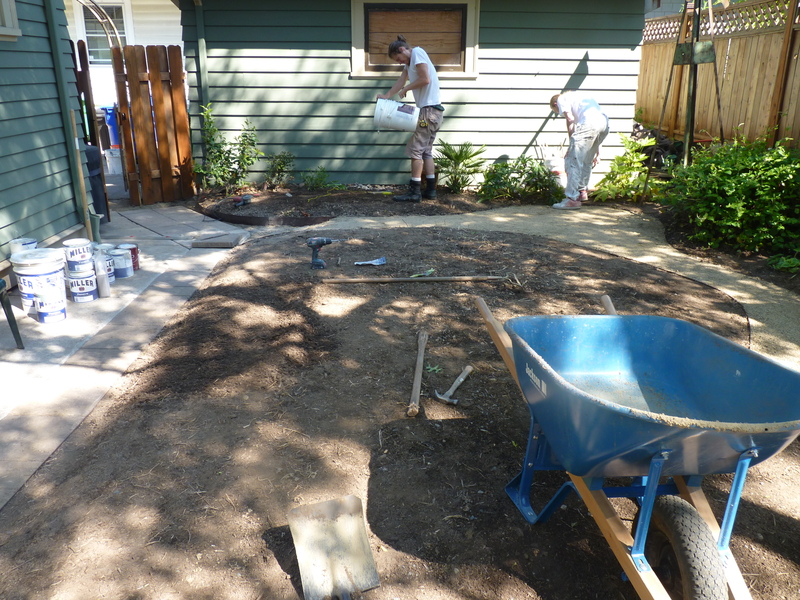 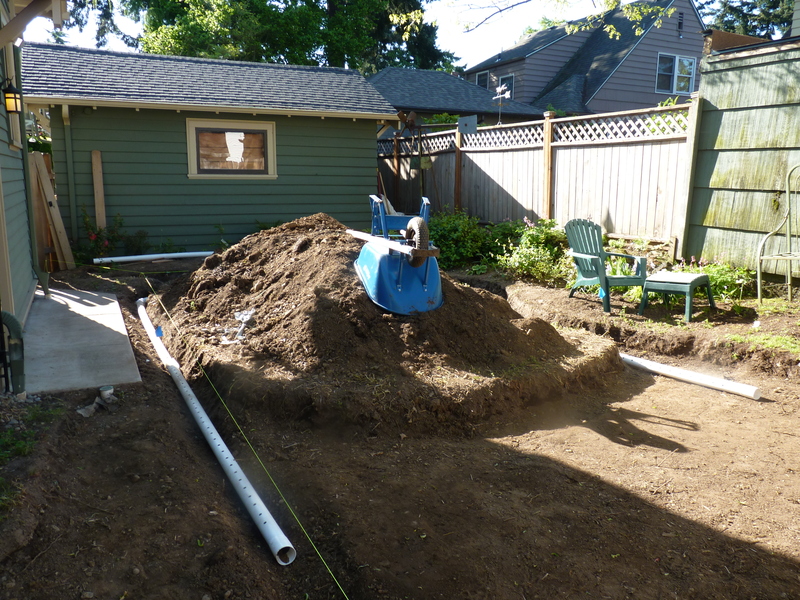 With the help of subcontractor: EcoCraft, the backyard renovation included a decomposed granite patio and French drain installation in the SW and SE corners and to the north, and a decomposed granite path adjacent to lawn. 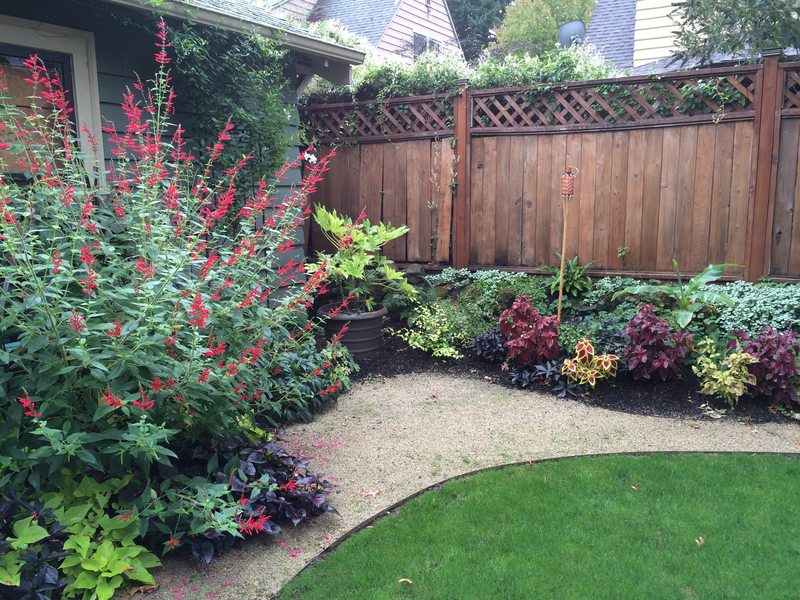 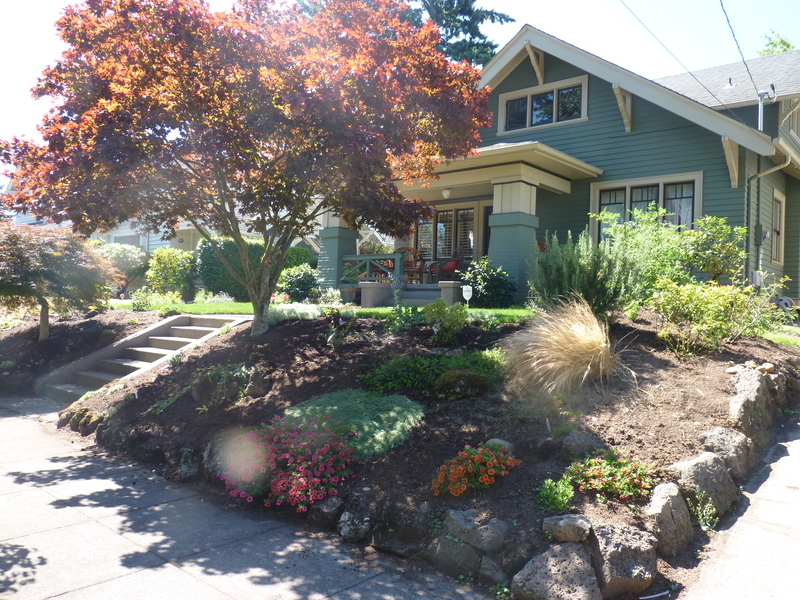 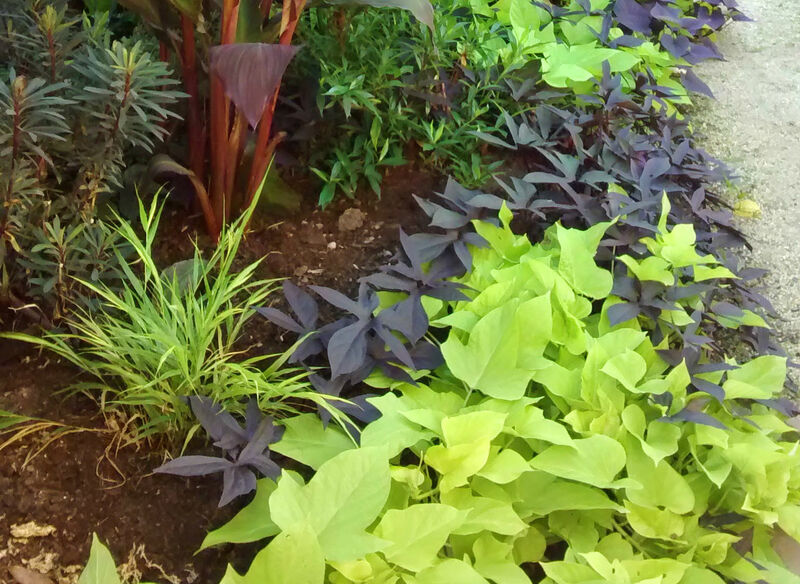 We remediated the lawn area with dense sheet mulching and then installed sod for a green fresh look, then we added a tropical and northwest layered canopy of plantings to support a naturescape design using the features and elements described above. 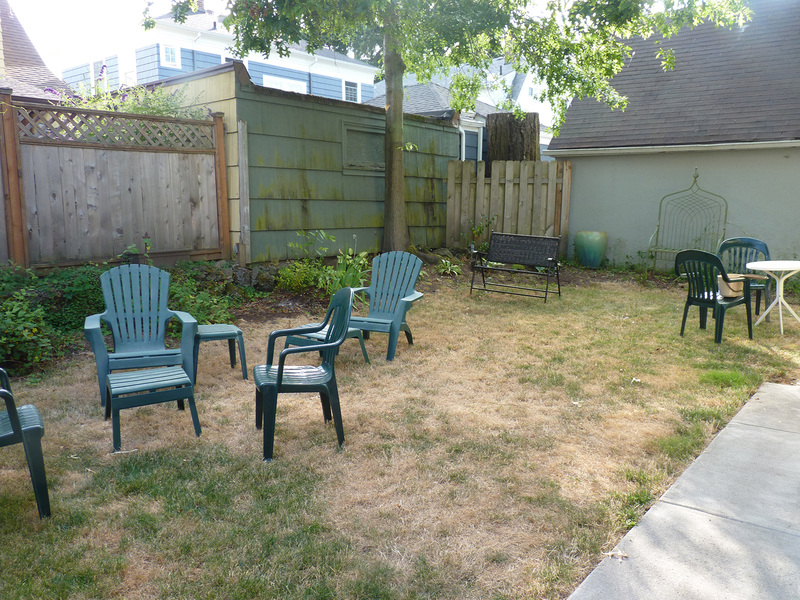 We created a more livable outdoor space with an easy care and natural look.